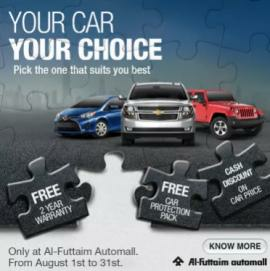 Win BIG with Al-Futtaim Automall. 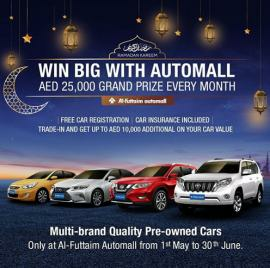 Buy a quality pre-owned car and stand a chance to win AED 25,000. 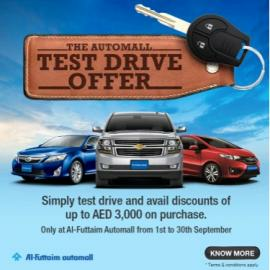 The Automall Test Drive Offer. 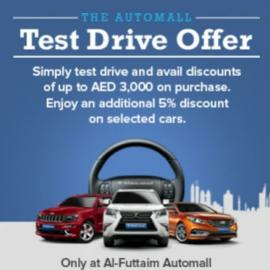 Simply test drive & get discount up to AED 3000. 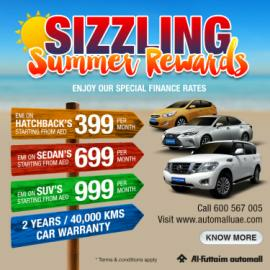 Additional 5% off on selected cars. Offer valid until 28th February 2018 only. 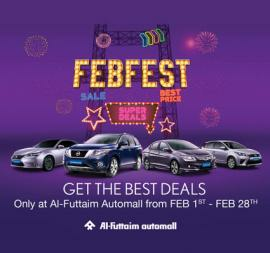 Al-Futtaim Automall - AUTOMALL JANFEST. 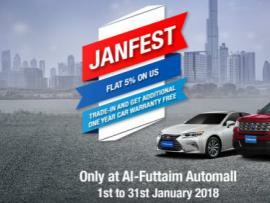 FLAT 5% OFF ON SELECTED CARS. TRADE-IN & GET ADDITIONAL ONE YEAR CAR WARRANTY FREE. The Automall Season Bonanza. 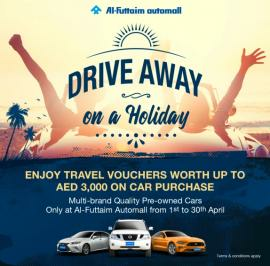 Win AED 25,000 from Al-Futtaim Automall. Offer ends 31st December. 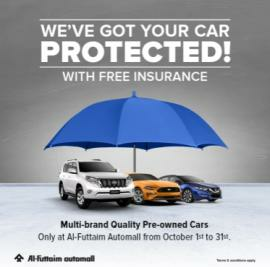 October Offers from Al-Futtaim Automall. Offer extended until November 11th. 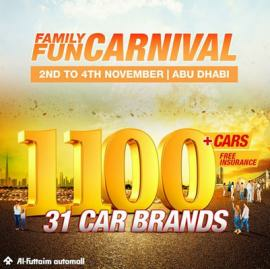 Al-Futtaim Automall - Family Fun Carnival. Choose from over 1100 cars and 31 car brands. Offer valid only from 2nd November to 4th November 2017 and only for the Abu Dhabi location. 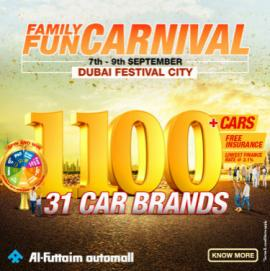 Al-Futtaim Automall - Family Fun Carnival. 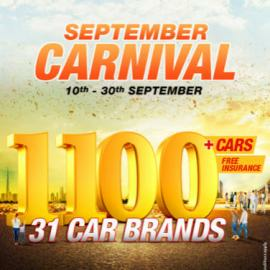 Mega Car Sale Event. 7th to 9th September. 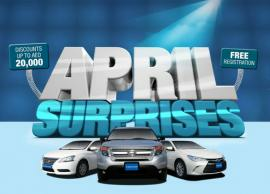 Al-Futtaim Automall - April Surprises. 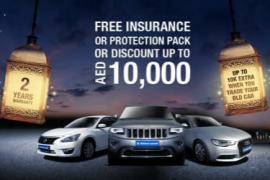 Get discounts up to AED 20,000 on selected vehicles and FREE registration. 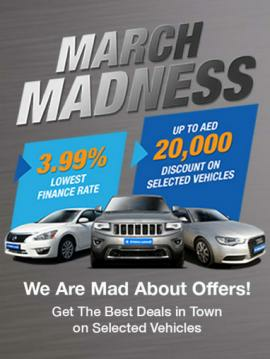 Don’t miss your opportunity to get the best deals on selected vehicles from Automall before 30th of April. 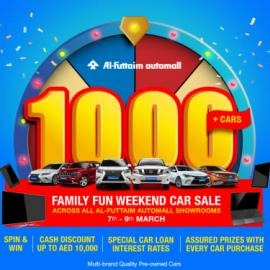 Al-Futtaim Automall - Get DISCOUNTS up to AED 20,000 on selected vehicles and lowest finance rate 3.99% on all cars only at Al-Futtaim Automall. 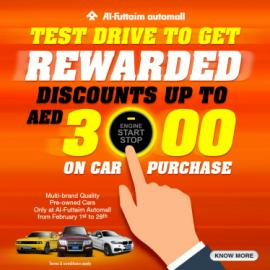 Don’t miss your opportunity to get the best deals in town on selected vehicles you buy from Automall before 31st of March. 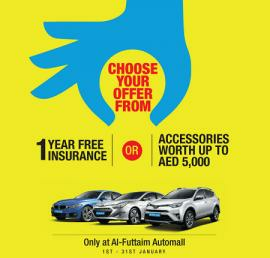 Al-Futtaim Automall - This February Al-Futtaim Automall is offering the Biggest Sale and the Best Prices. Don’t miss your opportunity to get the best deals in town on selected vehicles you buy from Automall before 28th of February. 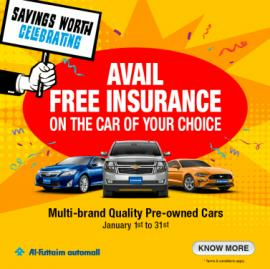 This January Al-Futtaim Automall offers our customers to choose from our most popular offers on selected cars - 1 year free insurance OR accessories worth up to AED 5000 when they buy a car from us this month. Don’t miss your opportunity to save when you buy from Automall before 31 st January. 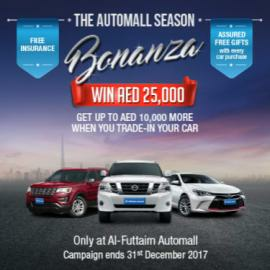 Get all information about Al-Futtaim Automall offers in Dubai, Al-Futtaim Automall latest offers in UAE, Al-Futtaim Automall sale in Abu Dhabi, Al-Futtaim Automall Ajman offers, Al-Futtaim Automall Sharjah offers and Al-Futtaim Automall promotions by browsing through TomatoSALE.